This 1-2 year old, 14 pound, Poodle/Havanese/(other?) mix is the perfect size to take anywhere, and young Rudy is always up for a good time - Rudy LOVES to play fetch, go on outings, be taken on walks or runs, car rides, anything with you, he's in. 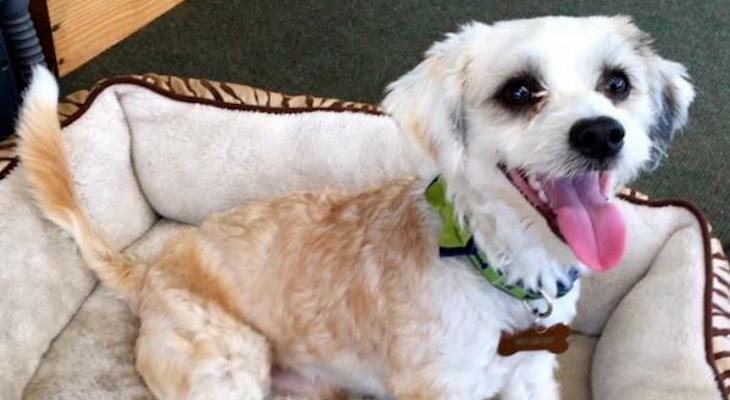 Rudy is also good at couch time, is eager to learn, and is a sweet and cuddly loyal pup. Rudy also enjoys the company of other dogs and would be a good addition to a family wanting a second dog.